Is a Home Phone Worth Having? Verizon Shared Data – What We Asked For? Has the FCC’s Reform of Lifeline Been a Success? Ever since the video of the “Obama Phone Lady” became viral, the Lifeline program has been a volatile subject among our politicians. It’s now being reviewed at a hearing by the Communications and Technology subcommittee scheduled for April 25, 2013. The committee is concerned that the size of the “fund” is growing out of control. The Lifeline program has been seen as an embarrassment to the Obama administration, with the republicans taking full advantage of the “Obama Phone Lady” video. What most people don’t know is that the Republicans started the Lifeline program under the Raegan administration. It was originally set up to subsidize home phone service but was expanded to include cell phone service under the Bush administration. The program just became popular since Obama took office. It has been criticized for its lack of oversight and control, resulting in waste. Last year, in 2012, it was reformed by the FCC and many controls were supposed to be put in place over the coming months to reduce the fraud and abuse that was going on. The problem is that the controls have been slow in coming. Much of the control is dependent on databases to be put in place to check for duplication and eligibility. It was put upon the individual states to implement these databases and that just hasn’t happened yet. In the mean time, there has been a substantial reduction of the fraud. The FCC has imposed strict rules for qualifying a consumer, while not providing the databases needed to efficiently execute those mandates. As a result, it has become very difficult for the consumer to successfully apply for the program. The consumer needs documentation to prove their qualifications but most need to get a member of the Geek Squad to help them electronically deliver it the the provider. Live events seem to be the only way a consumer can apply because they can bring their paperwork and show it to a sales rep. Unfortunately, there are millions of qualified individuals that aren’t able to get to a live event. So, we can only wait and see what comes out of the hearing. Those that are running the hearing want to see the program terminated. However, those that are in office see that a majority of their voters would be affected by that. Unfortunately, like so many other programs under the government’s control, it’s more about politics that what’s good for the people. Many of us today have to question the need for a home phone line. It seems to be an expense we can do without. It’s a lot like insurance – we pay a lot of money for something that we rarely, if ever, use. If you have a cell phone, why would you also need a home phone? A home phone still has some merit. If you have a family, especially with younger children that aren’t ready for their own cell phones, a home phone provides some comfort and security. It’s nice to be able to call home rather than going through your list of cell phone numbers of other family members. And, if there is an emergency at the house, it’s more likely you’re going to reach for the home phone. A home phone still has an advantage when it comes to 911. So, if I’d like to have a home phone, what is the price at which it makes economic sense? I suppose that number can be different depending on your economic status. For many low income families, that number is very low. But, there is a way for those families to get cheap home phone service. Lifeline is a federal government assistance program that provides a discount on your residential phone service. For those that qualify, it will reduce your bill by about $10. It may now seem like much of a discount but if you get just a basic line without all the additional features, you can get that monthly payment under twenty dollars per month. This may be enough to justify that antique that sits on the table, rarely ever used. Posted on January 28, 2013 April 17, 2013 Categories cheap home phoneTags cheap home phone, home phone, landline phoneLeave a comment on Is a Home Phone Worth Having? Verizon updated their wireless plan offerings in 2012 to include data in their share plans. They made a point to say that they were giving their customers what they asked for. However, I think they missed the point. Actually, I’m sure they did not miss the point but rather they emphasized a point that didn’t make them look as bad. Yes, Verizon customers were asking for shared data. I was even one of them. But, the reason I wanted shared data wasn’t so that I could split my data usage with my household, it was so that I could SAVE MONEY on my plan. I saw that in order to add a smart phone to my plan, I’d be required to take on a $30 per month increase. Then, to put my wife into a smart phone, I’d be looking at another $30 per month. I found that to be ridiculous. I’m already sharing minutes of talk time between our two phones, why couldn’t I share the data as well? But, in sharing the data, I would expect to NOT have to pay as much per month. Back when I started my data plans, I got unlimited data usage for my $30. Now, I don’t use very much data at all most of the time but, when I need to stream a movie or go through a bunch of pictures in the cloud, it’s nice to know I don’t have to worry about going over my allotment. Enter Verizon’s new share everything plans. This sounds like what I was hoping for. Except for one thing – cost. For me to get rid of my unlimited data plans and switch to a shared data plan – of just 2GB of data, I’d have to PAY MORE than I’m paying now! How can that be? If I’m sharing the data, shouldn’t I get a break? Apparently not. The difference is that instead of sharing a limited number of talk time, I’d have unlimited talk time. Well, this isn’t something I need. I barely use 300 minutes of talk time a month. Obviously Verizon knows this and that’s why they’re willing to give me all the talk time I want. It’s the data that they want to throttle down. So, here we go again where the big wireless company is coming up with ways to squeeze more money out of their customers and provide less service. Shouldn’t they try to make their customers happy? Shouldn’t they try to deliver more service for less money? I guess not. As long as they have the best network available, they can afford to treat their customers dirty. I’m holding on tight to my unlimited data plan for as long as I can. I know that one day I’ll be forced to give it up and pay more for less. When that day comes, I’ll have little reason to stay with Verizon. I’m hoping that the other networks become more reliable with better coverage so that the competition can be more evenly matched. Until then, Verizon customers will keep getting abused and asking for more. Posted on January 15, 2013 Categories wireless plansTags shared data, unlimited data, verizon, wireless plansLeave a comment on Verizon Shared Data – What We Asked For? Here we are 9 months after the FCC issued their Lifeline reform order that was intended to eliminate the waste and fraud in the program. The main focus of the reform was to be sure that only those who properly qualify get the subsidy and, to limit it to one subsidy per household. The other savings is in the elimination of the Linkup subsidy in non-Tribal applicants which was helping to defer the cost of activation. The initial reports are showing some success. But, how much of that success is attributed to the elimination of Linkup? That seems like a “cheat”. Sure, eliminating the Linkup subsidy has to save money – the same way that eliminating the Lifeline subsidy would save even more. Is the reform saving any Lifeline funds by eliminating fraud? Well, it’s hard to say. There is some evidence in that the scrubs being done in some areas are identifying those households that are getting more that one subsidy. As more states create a database capable of identifying duplicates, there should be more success. However, this reform is not without flaws and could carry a cost to the consumer. With the elimination of Linkup, many home phone providers have concluded that offering Lifeline service is costing them money. It has resulted in a number of CLECs shutting down or moving to wireless only. With the new rules imposed by the FCC, there is a much higher expense involved in activating a new customer. It takes more labor and better back office systems to ensure compliance. So, at the same time the FCC is increasing acquisition costs for an ETC, they are decreasing the compensation. The elimination of the Linkup was lobbied by the big wireless ETC players. They argued that it wasn’t necessary because they were currently doing it with wireless customers and not taking the Linkup. But what about wireline? Wireline seems more practical for a struggling low income family. Now it’s not as available. Instead of a low income family getting their lifeline home phone activated for free, they are having to pay $30 or more to get started. Since the wireless ETCs are providing the handset for free, those families are more likely to use their Lifeline subsidy for a mobile phone. Sounds like a win for companies like Safelink and Assurance Wireless. Posted on November 26, 2012 January 28, 2013 Categories Free Government Phone, Lifeline ReformTags fcc, lifelineLeave a comment on Has the FCC’s Reform of Lifeline Been a Success? 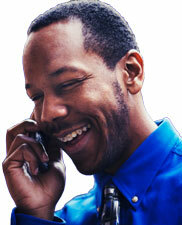 Get a free cell phone plan with Lifeline assistance. Lifeline is a federal assistance program for low income families that will subsidize your phone service. You can apply it to either your home phone or your mobile phone plan. You can only get one Lifeline benefit per household so if you decide to get a Lifeline home phone you can’t also get a free wireless plan on Lifeline. Also, if you have a Lifeline phone, you can’t get one for your spouse as well. Lifeline can subsidize you about $9.25 per month toward telephone service. That’s the Federal portion of the benefit. Some states kick in a little extra and, if you are residing on Tribal land, jackpot! Your number of free minutes will depend on how many minutes your provider can purchase in your area for the amount of money the government is providing. It usually ranges from 60 to 250 minutes per month. If you qualify for Tribal Lifeline, you can get plans of 1000 minutes or even unlimited since the subsidy is so much more. Although, in some places like Oklahoma, it requires a $1 per month fee. Still, $1 for unlimited minutes is a great deal. Most providers will supply a free phone for qualified applicants which would make your total investment $0 down and $0 per month. And, you have no contract so you can cancel at any time with no penalty. Most plans allow you to text with your free minutes but be sure to ask because not all “free” plans allow it. However, texting can use up your minutes fast because they usually cost your 1 minute per text. These plans are usually all “anytime” minutes so you don’t have to wait until night time or the weekend to make calls. If you run out of minutes you can purchase more on a pay-as-you-go basis to get you to the next month.